Meniscus’s lush ambient soundscapes, driving bass lines and poly-rhythmic beats create a unique musical experience that has been hypnotising Australian audiences since 2005. The Sydney trio’s unique brand of instrumental post rock blends the moody dynamics of acts like Mogwai and Sigur Rós with the prog rock technicality of King Crimson. The critical success of the band’s 2007 EP ‘Absence of I’ elevated Meniscus’s profile globally with rave reviews from The Silent Ballet (“Beautifully crafted and impeccably conceived….very good doesn’t quite sum this up, it’s amazing”) and Sputnik Music (“Meniscus have a wizardly sense of dynamics, songs flowing with the purity of water….technically brilliant and tightly composed”). Despite this success, the departure of drummer and co-founder Duncan Wilson forced Meniscus into hiatus in 2008. In early 2009, founding members Daniel Oreskovic (guitar) and Alison Kerjean (bass) made a comeback to the live circuit with new drummer Cameron Brennan, showcasing new songs and arrangements. 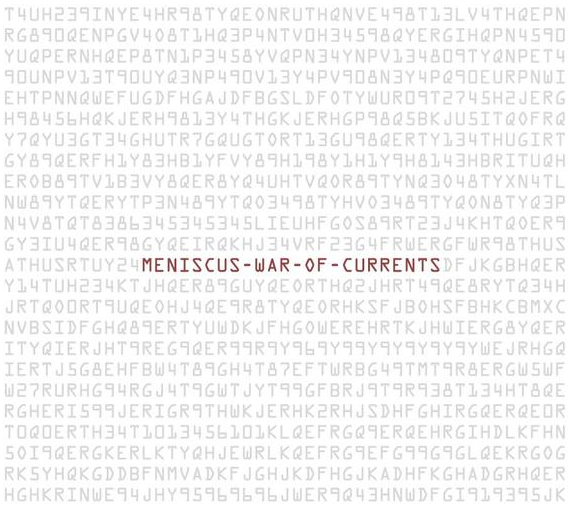 All the hard work that the band put into the comeback has resulted in this latest release called War Of Currents. This entry was posted on July 19, 2011, 11:11 pm and is filed under Playlists. You can follow any responses to this entry through RSS 2.0. You can leave a response, or trackback from your own site.